Hawthorn Creely doesn't fit in, and that was before she inserted herself into a missing persons investigation. She doesn't mean to interfere, but Lizzie's disappearance is the most fascinating mystery their town has ever had. And she's pretty sure Lizzie'll turn up at any moment, which means the time for speculation is now. So Hawthorn comes up with her own theory for Lizzie's disappearance. A theory way too absurd to take seriously...at first. 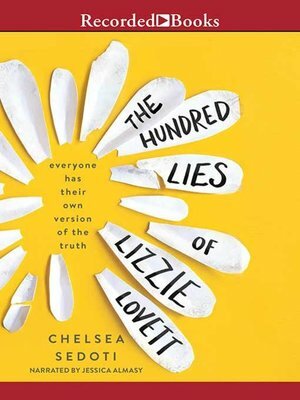 To prove she's right, Hawthorn hunts for evidence by immersing herself in Lizzie's life. Taking the job and boyfriend of a missing person might seem kind of dangerous, but it may just be the push Hawthorn needs to find her own place in the world.